One of the largest gold and copper deposits in the world was discovered on the location “Cukaru peki”. At a depth between 558 and 559 meters, was discovered the content of 50.3 grams of gold per ton of ore. The US mining corporation “Freeport Mcmoran” and their partners from the Canadian company “Reservoir minerals” found one of the largest gold and copper deposits in the world around Bor. According to recent informations, the US “palpated” bingo in the region “Cukaru peki” at depths between 558 and 559 meters. It was discovered almost incredible content of 25.7 percent copper and 50.3 grams of gold per ton of ore! According to the deposits discovered in the world so far, the richest content was found in the Hollister mine in America, where are drawing 27.20 grams of gold per ton of ore.
How valuable discovery is, shows the fact that “Freeport” and Canadians have found so far 65 million tons of ore with average copper content of 2.6 percent and 1.5 grams of gold per ton in the vicinity of Bor! Not only that, the latest researches show that in one well at a depth of 179 meters, was found a layer of 84 meters in which the copper content is 10.75 percent and 10.86 grams of gold per ton! In the second layer of ore, 46 meters thick, was found richer deposit of 15.85 percent and 16.77 grams of gold per ton. What the Americans and Canadians have found is best illustrated in the literature that deposit with one percent of copper, if these are followed by the proper amounts of ore, are very profitable! Calculating the gross value of copper and gold in the newly discovered deposits, according to the official prices on the London Metal Stock Exchange, it appears that wealth worth nearly – 18 billion dollars is hidden around Bor! And these are only the first results, as the Americans and Canadians continue with geological researches. Some unofficial information, even, show that also the copper reserves in Bor are estimated at a billion tons of ore, with a corresponding amount of gold and other precious metals. However, future studies should yet confirm that. Americans and Canadians drilled more than 42 kilometers of wells in the vicinity of Bor and among them were those in which the copper content in the ore exceeded even – 10 percent, according to which, also two years ago, it was said it was the richest deposits of this metal in the world. Dr Dejan Kozelj, director and chief geologist of “Freeport” in Serbia, had earlier stated that the company has invested about 15 million dollars during the last year in geological exploration in the vicinity of Bor, while 20 million dollars have been provided for this one. – A considerable number of positive exploration drilling results is necessary before making a final decision on the commencement of exploitation. We need enough data to define the size and quality of the reservoir, after which we have to prepare the main mining project of excavation, to obtain mining right. 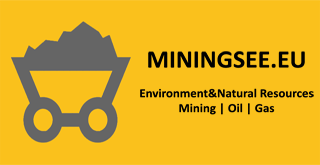 After that, the next is feasibility study, which would prove the economic feasibility of the project, as well as analysis of the impact of mining on the environment. The next step is the application and obtaining all necessary approvals for mining works. The final step is to obtain corporate approval to start investing. And what kind of wealth it is, doubtless, show the fact that for the past 110 years of mining in Bor it has been obtained five million tons of copper and nearly 160 tonnes of gold. Results of natural mineral resources in Bor – are extremely discovery, which can completely change the difficult situation in the entire mining industry in Serbia, considered energy experts. – If the researchers really found 25.7 percent of copper and 50.3 grams of gold per ton of copper, these results are stunning and give a very positive impulse for further excavations – says Ljubinko Savic, consultant of the Association of Serbian Energy. – I assume that such high values were found only in one borehole. Now we have further tests, which should tell us exactly how much is the content of precious metal in the entire bay. The most important thing is to determine the limits of the reservoir distribution, so that we know where a found vessel extends in depth and breadth. If it is only about one meter, also then the results are excellent, but not essential.